Car manufacturers and suppliers often need to have some sort of tow vehicle and trailer to supply the vehicles to their vendors or clients. 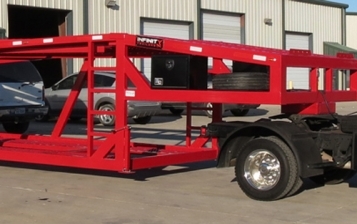 For most of them, a flatbed trailer is very common. 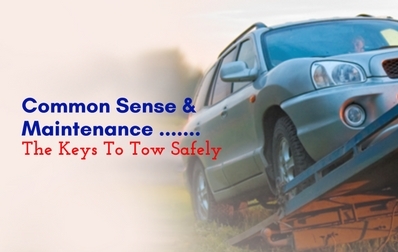 Thus, towing the trailer pretty much comes down to common sense. And let’s be honest, there are a lot of people that seriously lacks this attribute. Beyond this, regular maintenance and inspections of the trailer can help you be a lot safer with your business. Tire pressure of trailer is usually one of the most common things that go overlooked. This can prove to be very dangerous. Low tire pressure can lead to excessive heat in the tire, which may cause a blow out. If you value the dollars for your cars, inspection is crucial for every manufacturer and supplier. Most trailers are stored outside. The exposure to the elements can be very hard on many of the trailer components, especially the wiring. Frayed or broken wires can result in damage of the brake lights. Brake lights are very much important when a trailer is moving on the road. A brake controller is the key component for even a small open car trailer. A good brake controller can give you the ability to adjust the trailer brakes to safely stop the rig. The level of trailer brakes should also be adjusted each time the trailer returns. Keep in mind that the level will depend on the weight of the load and the type of driving. Follow this link to get the best trailer for your business - Trailers Offered By Infinity For Hauling 4 Cars Simultaneously. If you use your trailer on a regular basis, the axles should be inspected and serviced on a regular basis as well. The bearings should be greased and the axles checked for alignments. The axle bearings support large amounts of weight, and take a beating on the road. Maintenance is the key for long life. Good quality straps are extremely important. If you see excessive wear or tear in your straps, replace them as soon as possible. Strapping your car and equipment is also extremely important. Some people cross straps to keep the car straight. While this does keep the vehicles straight, if a strap does break, the other diagonal strap can pull the car to that side of the trailer. And, at that point there are essentially no straps which could keep the car tied down. If you keep the straps as straight as possible, the car will stay in place even if any of the straps break. A trailer becomes an essential part of your business especially if you are in the automobile industry. 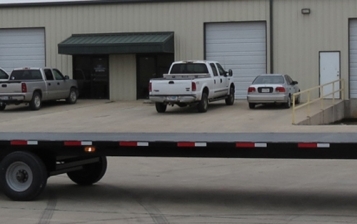 Stay tuned to our blog space to know more about flatbed trailers.